“Back to the Future Part II” may have predicted tablets, flat screen televisions and video conferencing in 2015, but not even Doc Brown could have foreseen Jon Snow’s fate. Last year hosted many unpredictable scenarios and return-to-forms, from Justin Bieber’s chart-topping comeback to “True Detective” bottoming out. Revisit some of 2015’s most notable cultural achievements and flops, some of which surprised us and others that were all but inevitable. All in all, 2015 put up a strong case to be this half-decade’s most culturally memorable year. 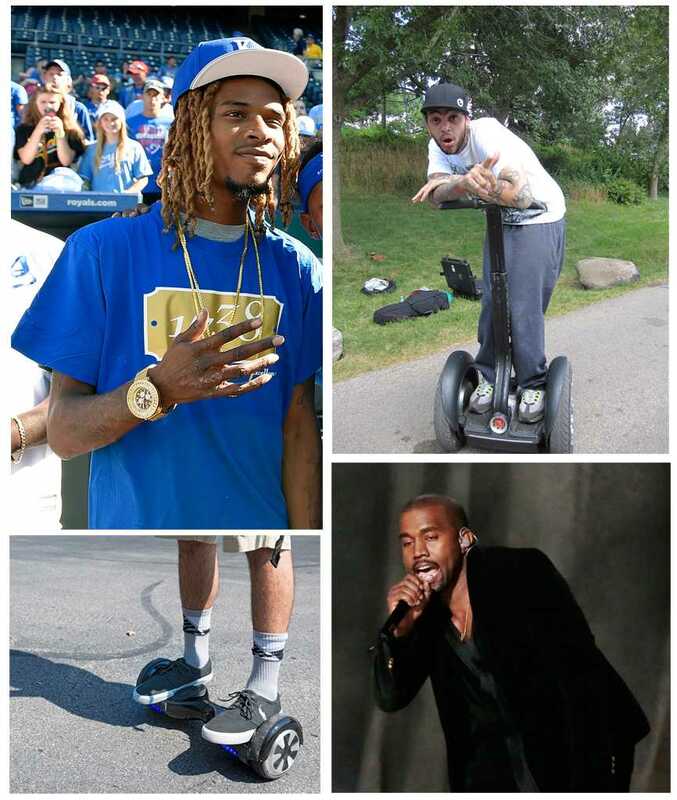 Of all the trends we anticipated in 2015, hoverboards were not one of them. Especially after 2014’s Funny or Die hoax that captivated — and then crushed — the Twitterverse with skating ambassador Tony Hawk and “Back to the Future” actor Christopher Lloyd seemingly swearing by the fake HUVr technology. And while hoverboards today don’t float seamlessly above the ground like “Back to the Future Part II” predicted in 1989, the two-wheeled board’s popularity didn’t suffer. As early as Christmas Day, videos of everyone from children to Mike Tyson falling off them went viral. Think of them as Segways you aren’t ashamed to be seen on and without handlebars — they lurch forward, backward, turn around in circles and light up as they go. Just remember to wear a helmet if you decide to zip around campus on one. Who didn’t think “The Force Awakens” was going to break records? The seventh “Star Wars” installment set the global opening weekend box office record, which “Jurassic World” had reset just last summer. It’s on track to pass “Avatar” in total domestic gross of more than $750 million. Since director J.J. Abrams first resurrected the franchise in 2009, “Star Trek” was on a hot streak with two critically praised films that brought fans old and new on board the Enterprise. And now Abrams’ equally heralded take on “Star Wars” in 2015 is light-years ahead of Captain Kirk and company. Especially with the forthcoming “Trek” film’s debut trailer set to the Beastie Boys’ “Sabotage” — a song as outdated as William Shatner — the franchise appears to be fading back into irrelevance. Instead, the Force remains strong. Perhaps nothing was as shocking on television this year as “True Detective’s” second season — and not because of anything that happened in the show, but rather, what didn’t happen. The show forecasted mediocrity with Vince Vaughn’s initial casting — whose career mostly comprises dead-of-summer comedies like “Dodgeball” and “The Break-Up” — and then made everyday horror into nightmare, with a comically convoluted plot and juvenile writing. FX’s second season of “Fargo” instead captivated us, demanding our attention every Monday night while it aired in December. The true-crime plot, based loosely on real events, held all the suspense and graphic violence that the Coen brothers’ 1996 film famously began. With praise-worthy performances from Kirsten Dunst, Jesse Plemons and Patrick Wilson, previously known for playing predictably sturdy father-type characters in “Insidious” and “The Conjuring.” “Fargo’s” second season replaced “True Detective” as the most binge-watch-worthy show of the moment. While remaining disappointingly absent from the music world this year, Kanye did manage to drop a few singles throughout 2015, most notably “FourFiveSeconds” with Paul McCartney and Rihanna. The endearingly tender “Only One,” while technically released in late 2014, can also live in the Rihanna-Kanye-McCartney family act. But it wasn’t enough to hold off Fetty Wap, whose one-eyed mystique and unexplained “1738” references held us captive with speculation and fascination when we weren’t lost in his Auto-Tune drenched voice. By the time fall semester began, “Trap Queen” and “679” were inescapable. Meanwhile, Kanye’s latest two singles failed to impress. Both “All Day” and the annoyingly repetitive and empty “FACTS” don’t hold much promise for a Yeezy three-peat as the year’s best hip-hop record, whenever it finally does drop. Thank God for Fetty, who turned us all into trap queens in 2015. When the latest “Game of Thrones” season ended in June, the world was devastated when Jon Snow (Kit Harington), the show’s seemingly only remaining moral character, appeared to die. Then, when he re-appeared on posters for this year’s upcoming sixth season several months later, speculation and debate over the character’s fate peaked. But for a show known for killing off its main characters, particularly the good guys, fans couldn’t have been too shocked to see Jon Snow go down. So when “The Walking Dead” appeared to off one of the show’s longest tenured characters, Glenn Rhee (Steven Yeun), via zombie mauling, the comparisons to Jon Snow were immediate. Glenn’s death, though — which we now know wasn’t really his end, either — breathed some much-needed life into “The Walking Dead” — more so than Jon Snow did for “Game of Thrones.” For a show about zombie apocalypse, it hasn’t killed off a first-season character in more than a year. By teasing Glenn’s death, and perhaps foreshadowing more to come, “The Walking Dead” proved it can be one of the most unpredictable shows on television today. 2015 saw innocence lost with varying degrees of success. For Miley Cyrus, her inexplicably bizarre relationship with beloved psyche-rockers The Flaming Lips continued with “Miley Cyrus & Her Dead Petz,” which dropped promptly after her phallus-centric VMA performance and an embarrassing “Miley, what’s good” incident. Depending on how you look at her career, it either took one bold step forward or ten steps back in 2015. Relying on a shocking, sexually explicit persona may have successfully separated her and our collective memory of Hannah Montanah, but the gig dried up before she got the best of both worlds. Another former child star prone to controversy, however, will no doubt remember 2015 fondly. Justin Bieber’s “Sorry,” “Love Yourself,” and “What Do You Mean?” all rival Drake’s “Hotline Bling” for song of the year, as well as the less formal but perhaps more prestigious title of that must-play song at the party. After a tumultuous stumble into adulthood that had many calling for the Canadian’s deportation, Bieber is seemingly back in our good graces–even if we aren’t quite comfortable enough to admit it just yet. With Bieber’s newfound maturity turning many former haters into Beliebers, the 21-year-old appears to have found a winning persona — edgy, but not overbearing — that is poised to last far longer than Cyrus’ stunts.